The Blues went 13 points above fellow contenders after a heated encounter at the bet365 Stadium. 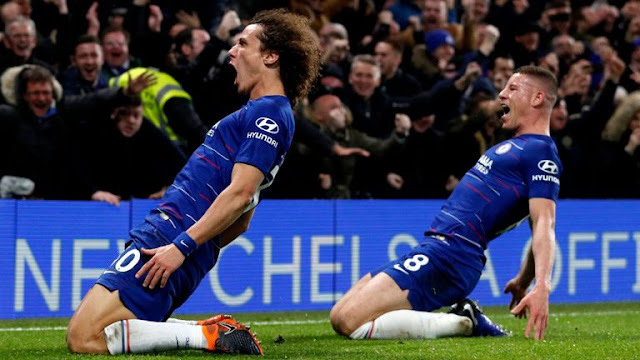 Chelsea started out well despite the energetic display by the host, Willian netting some great free kick from the left which caught out keeper Lee Grant at his near post but the host then replied but unfortunately their goal was ruled out due to some Foul by team-mate Saido Berahino on Cesar Azpilicueta. Stoke got leveled 7 minutes to half time by a penalty by Jonathan Walters after the Referee pointed to the spot due to a push by Gary Cahill, the visitors had chances to add more tallies to their score but were denied by good defending and goalkeeping. Diego Costa was at the centre of controversy and the Chelsea striker felt bad with the treatment dished out by Stoke and Phil Bardsley was booked for kicking him. 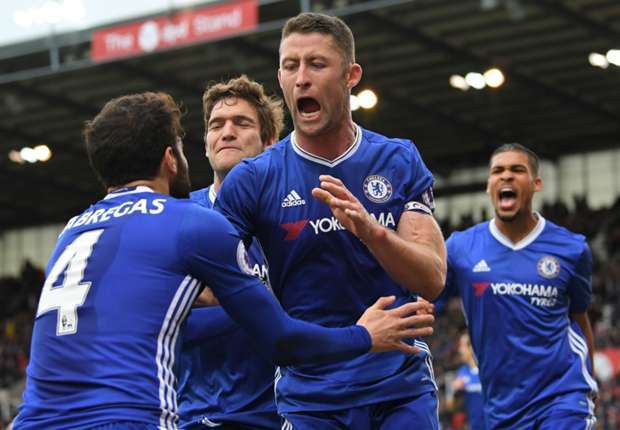 Gary Cahill settled this encounter late in the 87th minute to secure a 13 point lead over Second place Tottenham who have a game tomorrow.